Winter season ended and before we knew it, we were open for summer season for an environmental retreat through Weber State University. In a few weeks, our annual three-day Spring Yoga Retreat will be in session during the Memorial Day weekend. environment and focus on their practice and relaxation. The retreat is limited to 20 participants which allows for more individualized attention from the two instructors. The size and location of Alta Lodge is so ideal for smaller group meetings and retreats that many return each summer to meet. Meals can be customized with a variety of options from our group dining menus. 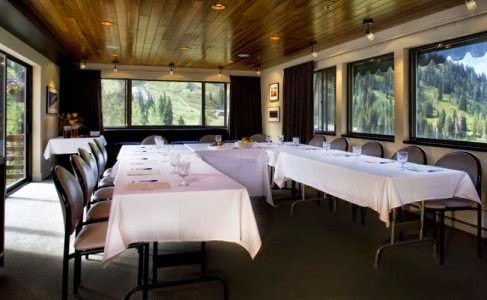 The meeting spaces have wonderful natural lighting and the surrounding views are simply breathtaking. We’re ready for the transition to summer season!